US Embassy’s English Access Microscholarship Program (Access) teachers from Dapitan City National High School, Dapitan City, Philippines received a recognition from the International Junior Writers Club (IJWC) on October 5, 2017 during the commemoration of the 2017 World Teachers’ Day. 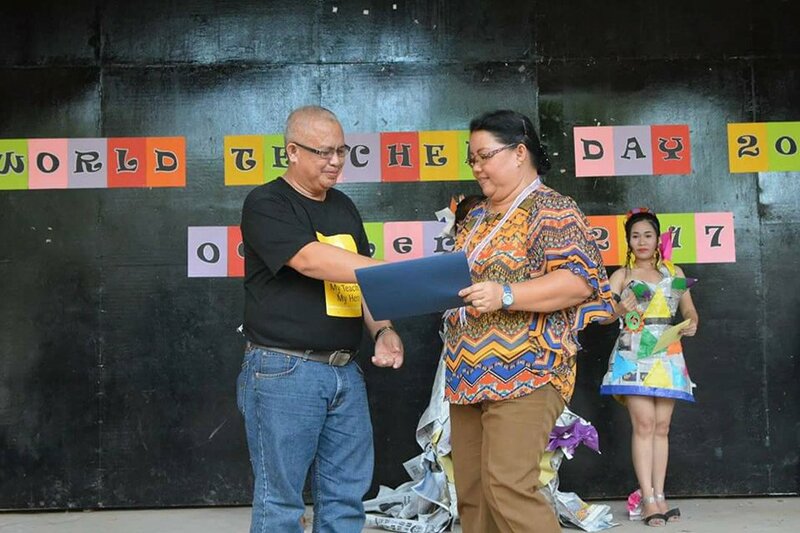 Through the principal of Dapitan City National High School, Mr. Jofrey Malana, IJWC recognized Mrs. Marilou Monding, Mrs. Ursulita Rafanan, and Ms. Lydia Kilapkilap for being its partner teachers from Asia during the school year 2016-2017. These teachers were instrumental in connecting students from the Philippines with students from Texas. 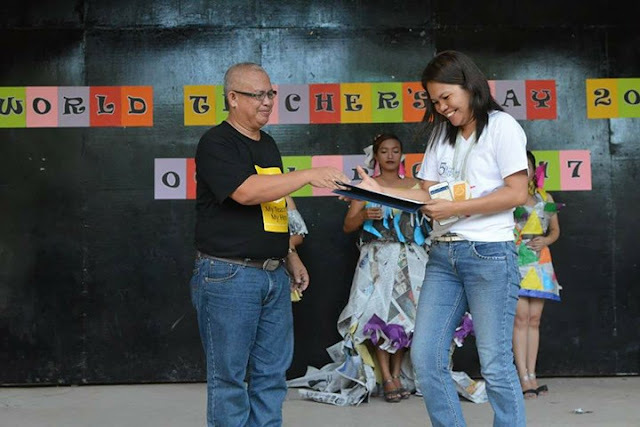 Aside from being luckily selected as US Embassy’s Access teachers, they had the privilege of receiving free US-based trainings. Mrs. Monding participated in Teaching English to Teens by the University of Maryland, Baltimore County on July 28 - August 31, 2016. Mrs. Rafanan was trained about US Culture and Values by Southern Illinois University, Carbondale, IL on October 28 - Nov 12, 2016. Additionally, Ms. Kilapkilap got accepted to the Intensive Sessions/Camps Exchange Program in Ohio and Kansas on July 18-28, 2017. Joining this school year is Araibo Elumba who was a participant of International Leaders in Education Program (ILEP) 2017 at James Madison Host University, Harrisonburg, VA on January 3-May 15, 2017. 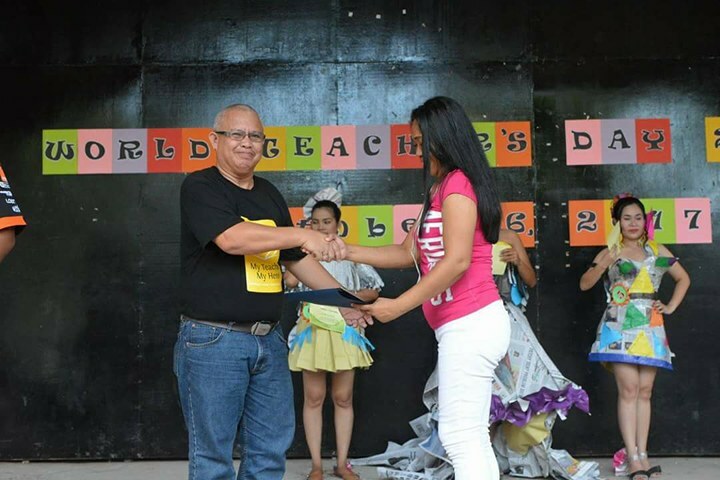 IJWC hopes to benefit more from the expertise of these amazing teachers.